Tuscany has long held appeal as a second home destination, thanks to its charming landscape and the famous cities of Pisa, Florence and Siena. The region enticed a raft of international buyers in the 1970s and 80s, many attracted by renovation projects. Those properties now need a second (more modest) round of renewal and are the projects for new buyers. Today, foreigners comprise 10% of the resident population. 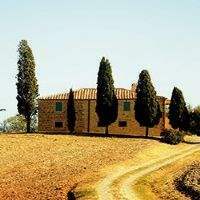 Perhaps best known for its secluded farmhouses set in olive groves and vineyards, properties close to a town or village are most sought after. Accessibility to amenities also helps with rental potential. Three to four-bedroom properties are in greatest demand, although separate guest accommodation is desirable. Prices have fallen by up to 30% from their peak, and are starting to stabilise at an average of €2,500 to €4,000psm in the countryside. Buyers and sellers who have been waiting out the market are now acting, and achieved prices are now much closer to asking. 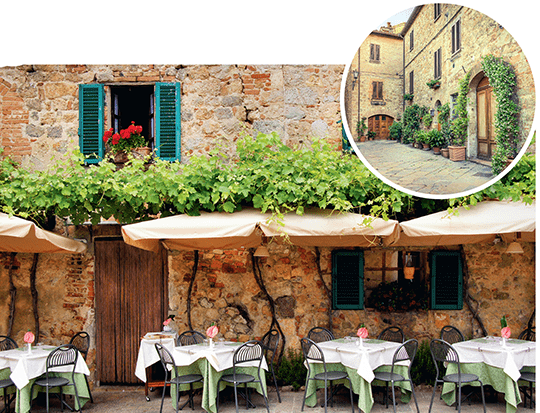 Chianti is outperforming the rest of the region as buyers seek out best-in-class properties. 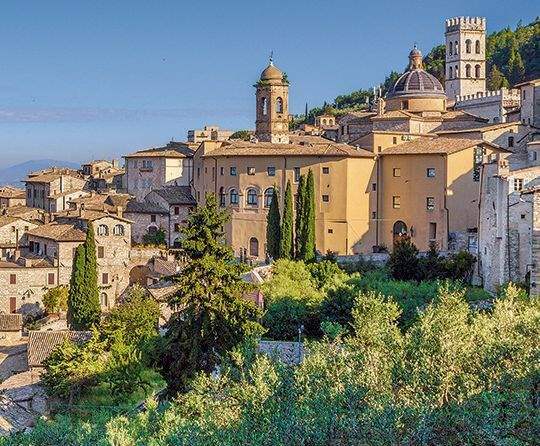 Directly to the south-east of Tuscany, Umbria is Italy’s fertile ‘green heart’. It received foreign investment later than its neighbour. Prices are lower, typically between €2,000psm and €3,000psm, and are also down around 30% from their peak. Competitively priced properties are trading, with the lifestyle market under €600,000 the most buoyant. The most in-demand locations are those close to towns with good tourist traffic, increasing rental potential. Orvieto is a historic walled town, built on an outcrop of volcanic rock. It’s a vibrant, youthful university town and a fast-growing tourist destination that is off the main tourist circuit. That said, it’s only a one-hour commute to Rome. Property here currently offers value relative to the region. Costa Smeralda, on Sardinia’s north coast, is one of the Mediterranean’s most exclusive resorts. 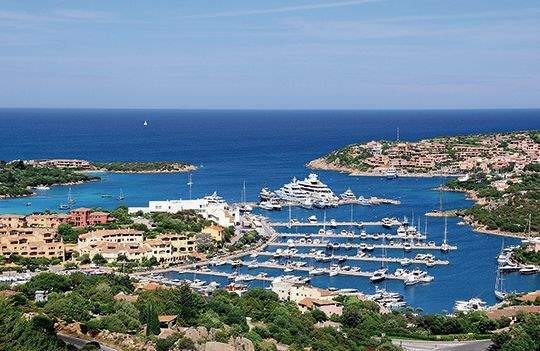 Porto Cervo’s marina hosts 60 super-yacht berths and holds international regattas. Prices can reach €45,000psm at Romazzino (and exceptional properties have significantly exceeded this). Attractive to ultrahigh- net-worth individuals, there is also a super-prime lettings market for those looking to enjoy the summer season. 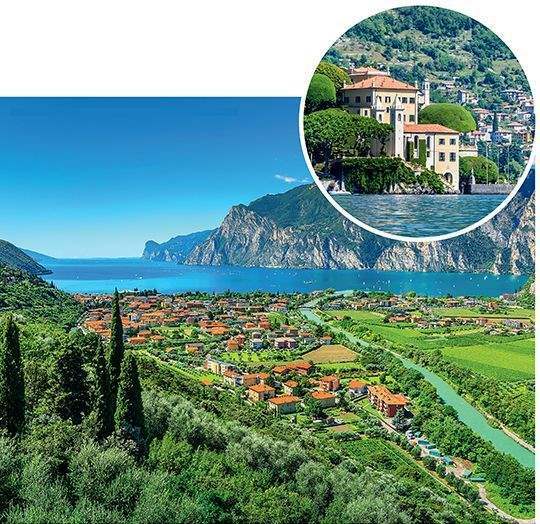 A property on the Italian Lakes can command some of the highest prices in Italy outside the country’s major cities and would attract a global audience. 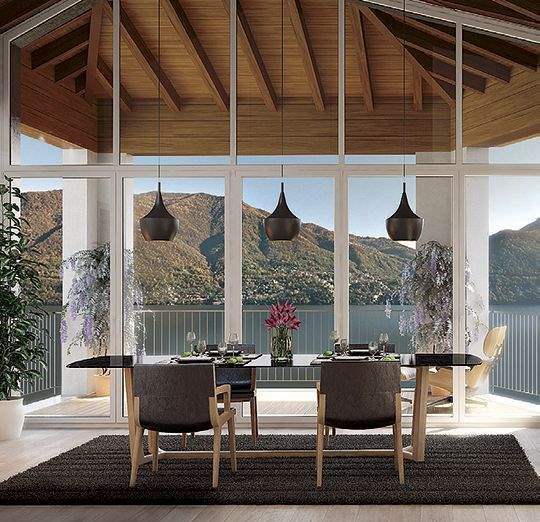 Lake Como is the most expensive, with prices ranging from €5,000 to €8,000psm. Being close to Switzerland makes it popular with Swiss looking for a second home in a more affordable country with a high quality of life. The most desirable properties are those that have direct lake access and a sunny aspect, but these rarely come to market. In Bellagio, a 50% premium can be achieved for being on the Como-facing bank. The town of Como itself is sought after by those who work in Milan (a 30-minute train journey away). It offers lake access, international schools, and is popular with young families. Historically, Lake Garda has been attractive to Germans and other northern Europeans. It is now opening up to a wider international audience and offers good value. 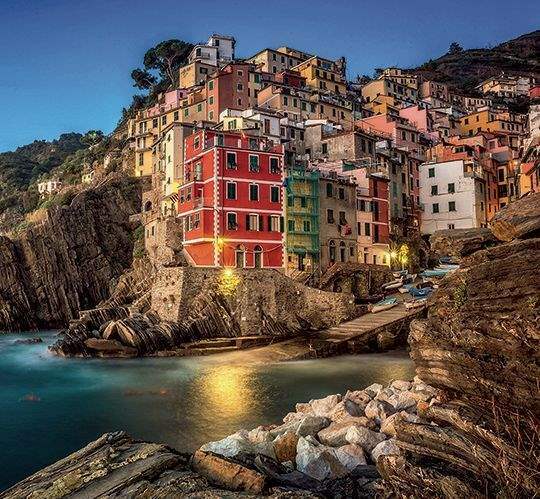 Liguria is a popular tourist destination, known for its attractive towns and beaches. The region also features several ports of call on the Mediterranean super-yacht circuit. A key destination is Portofino, one of Italy’s iconic coastal towns. Along with Santa Margherita, quality apartments here in refurbished buildings are both in short supply and high demand. Up the coast in Genoa, the best properties are found in the central Albaro district with coastal views. Prices here can reach €10,000psm. A range of nationalities are active in the region and, as Liguria is close to Milan and Turin, it’s especially popular with Italians as a second-home location. Western Liguria is accessible from Nice Airport, and prices are far lower than the Cote d’Azur. Monaco’s marinas are at full capacity, so the Principality has acquired a marina at Ventimiglia. In 2017, the Italian Government introduced a new tax and investment regime aimed at attracting high-net-worth individuals (HNWIs). For new residents, taxation on foreign assets and other foreign-secured capital gains is substituted for a yearly flat rate of €100,000. 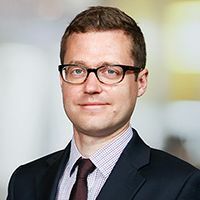 This also grants an individual exemption from inheritance tax related to assets held outside of Italy. Any Italian-sourced income continues to be taxed on a progressive basis, boosting domestic tax revenue, in addition to local taxes on any investment and consumption made by the HNWI. 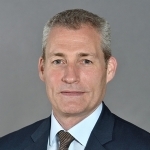 A new investor visa has also been introduced, requiring an investment of between €500,000 and €2 million in specified vehicles, held for at least two years. Successful applicants are entitled to a Schengen visa for themselves and family members.